Join Shark Fest to help build on the people power of the last massive shark cull rally for Western Australia (WA) and to celebrate 2014's achievements. Now, it's not just a rally for WA (the fisheries are still dropping baited drumlines upon shark sightings/fatalities), but also for the East Coast of Australia. Drumlines are deployed up and down the East Coast of Australia, and our beaches are "protected" by pointless nets which are doing more harm than good by drowning sharks and various other marine animals. Bring your friends & family, share this widely with your networks, and let the state governments and councils know that there are alternatives to nets and drumlines. 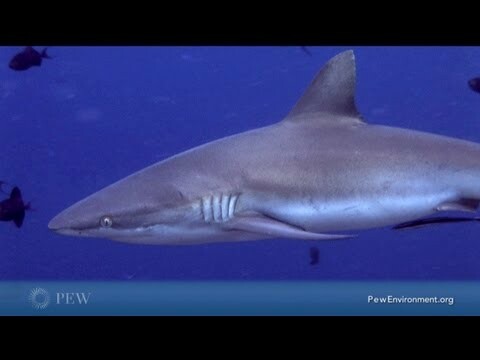 Healthy oceans need sharks! Where: Australia-wide. Manly beach, Sydney. Cottesloe Beach, Perth. Queen Elizabeth Park, Gold Coast. Moseley Square, Adelaide. When: From 10:30am, Sunday 8 February, 2015. Sharks play a vital role in marine ecosystems, helping to maintain a balance that's critical for commercially important fisheries. But they are also one of the most misunderstood creatures in the world's oceans — the odds of experiencing a shark attack are just 1 in 11.5 million. Look into the eyes of these baby animals and you'll remember just why it's so important to look after our beautiful, precious planet.